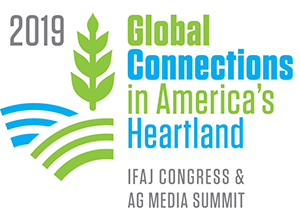 In in a proactive effort to bring farmers and ranchers into the mainstream conversation about food and ag-related issues, U.S. Farmers & Ranchers Alliance® (USFRA) has launched engAGe – a new app to give farmers, ranchers and advocates a turnkey tool in sharing their story on social media. This platform allows users to easily stay abreast of current news in agriculture and broadens relevant content to their social media channels with a simple click. It’s easy to download and integrates with social media accounts to strengthen agriculturalists’ voices and share a united message. – To join, search “Dynamic Signal” in either iTunes or Google Play and download the free app. – Once you download and open the app, the app will prompt you to enter the engAGe community code: ENGAGE (not case sensitive). – Once you type in the community code, you will be able to create an engAGe account.